Imprint Method: UNIMPRINTED - Made from 51% post-consumer recycled material. Main compartment with cinch top. Front mesh beverage pocket. Pen loop. 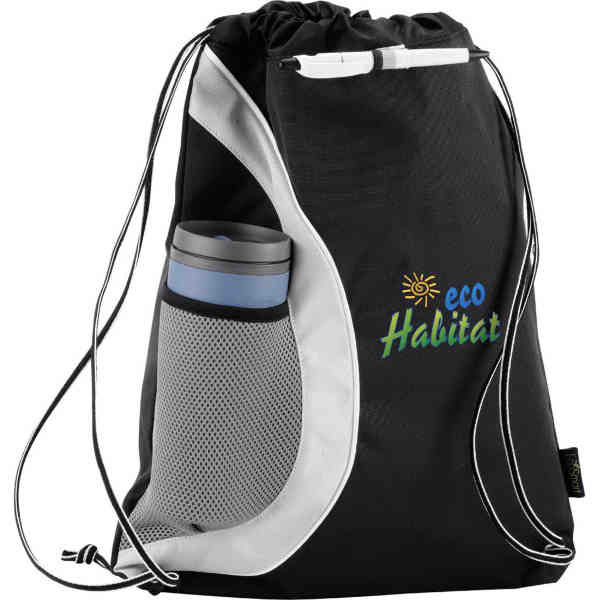 Drawstring design for over-the-shoulder or backpack carry. EcoSmart educational hangtag. Size: 15 " x 18.74 " x 0.25 "